Visit a silversmith's studio. On display will be Silver and silver plated tableware. 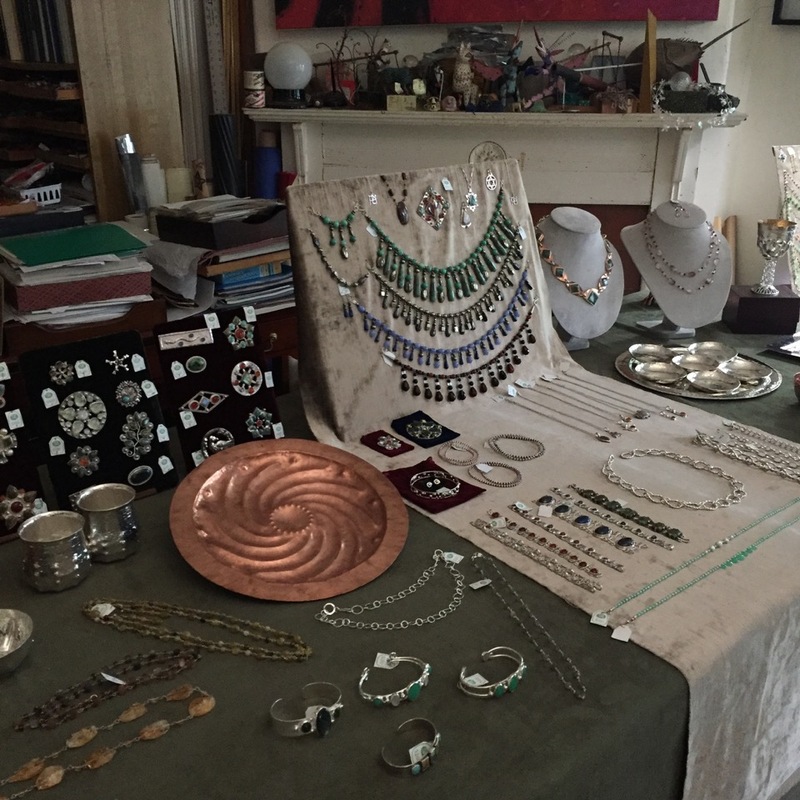 Copper bowls and hand made silver jewelry set with unusual stones. There are also Paper Tapestries and paintings on the wall. Stop by and see a metal working studio. Light refreshments.